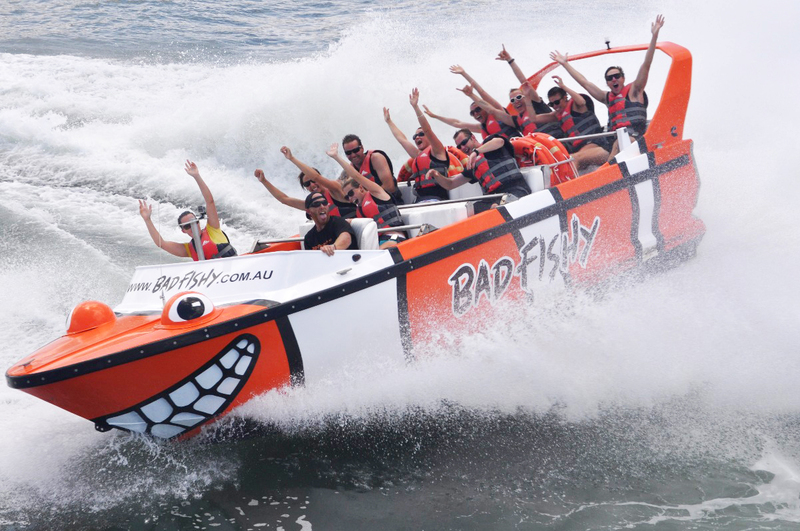 Includes an awesome 35 minute ride on the famous Bad Fishy Jet Boat and Lunch or Dinner at The Pier Bar. Lunch or Dinner and a Glass of Wine or Beer. Choose from a Beef Burger, Grilled Vegan Burger, Chicken Caesar Wrap, Pepperoni Pizza, Margarita Pizza or Tropicana Pizza. Drink includes a schooner of Great Northern or a glass of house red or white wine or a soft drink. Original voucher must be submitted to redeem. Conditions of redemption apply. Cannot be exchanged for cash. *Kids must be at least 1.1metres tall. Bookings are subject to availability. Payment to be made in full at time of booking. Terms & conditions of passage on the jet boat apply.